March brought a new stockist; you can now find my jewellery in the fabulous Creative Recycling Gallery, Chorlton, Manchester. 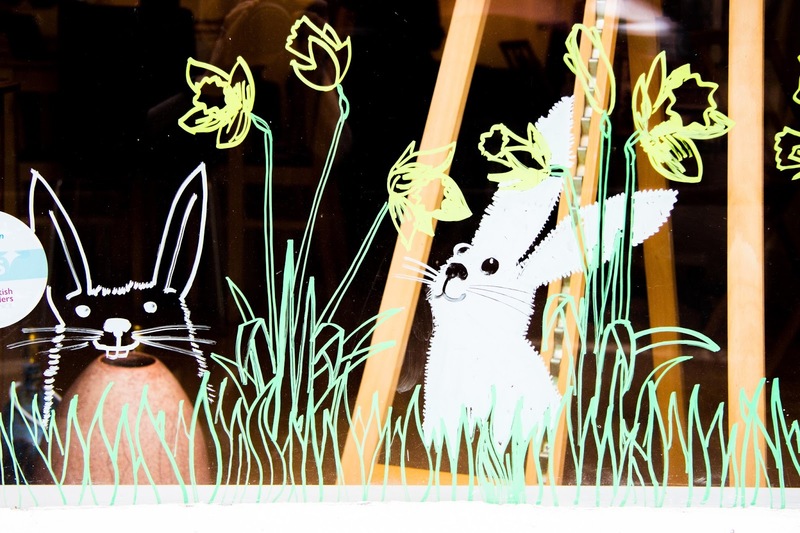 Our own Spring Exhibition got off to a flying start with fabulous work on show and all sorts of spring happenings on the windows, there seem to be more bunnies and daffodils with every passing day! 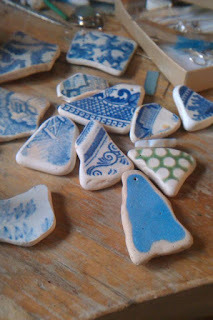 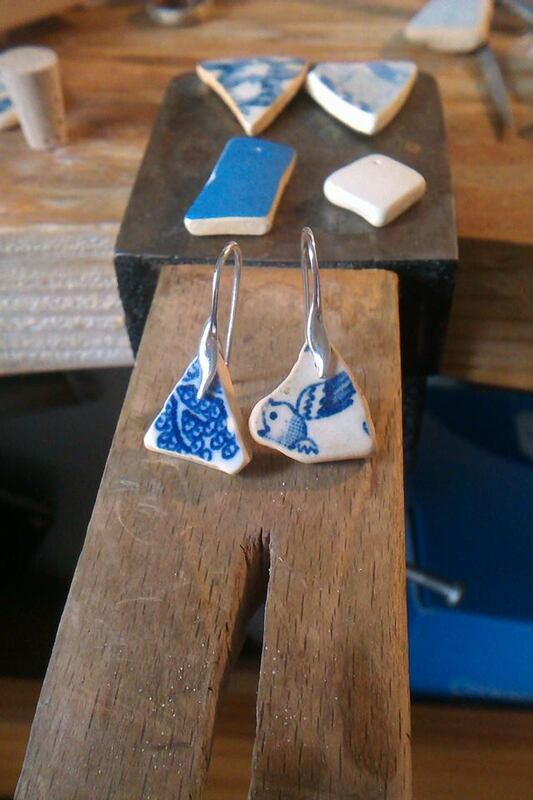 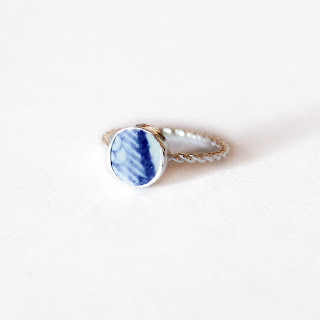 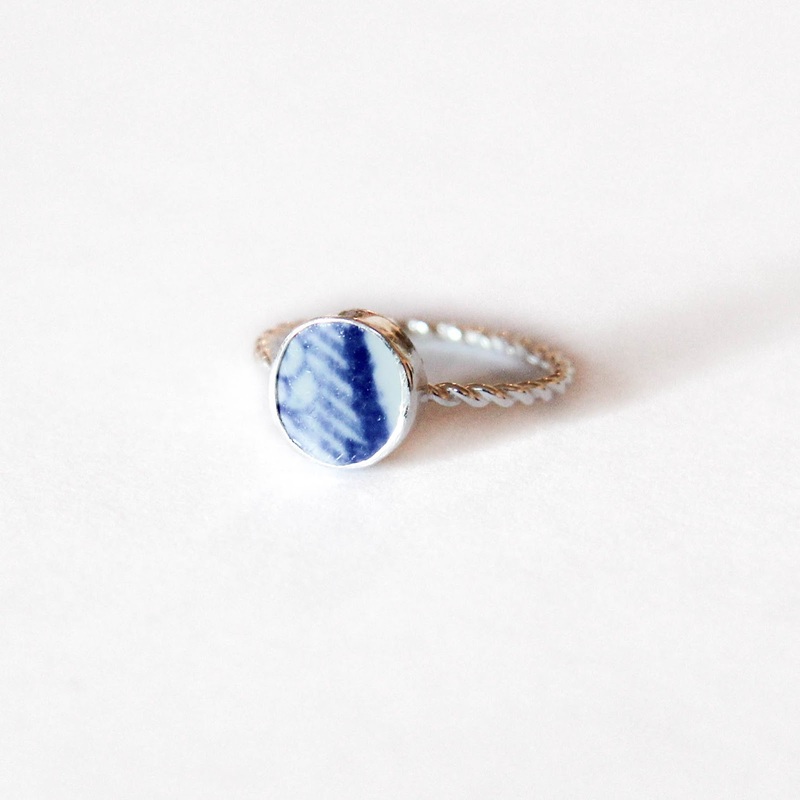 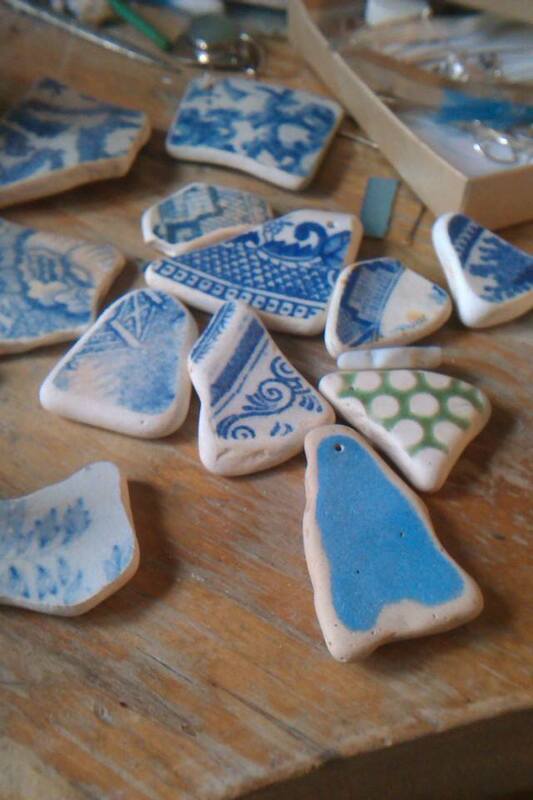 When not at the gallery I've been making new jewellery with lots of lovely blue and white sea pottery which will be off to stockists soon.